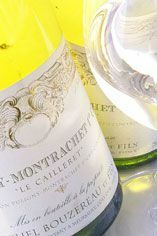 Puligny-Montrachet 1er Cru Le Cailleret is fresh and appealing from the floral bouquet onwards. A fully ripe wine with a beautiful broad palate and plenty of flesh. Very distinguished, this is likely to be accessible early. The Bouzereau clan is widespread in the village of Meursault, with Domaine Michel Bouzereau at the forefront. Michel Bouzereau comes from a large winemaking family and has held the post of President of the Burgundy Growers Union. His is a voice to be heard. And what he likes to talk about is the traditional way of making wine. He ferments in cask and gives his wines nine months on their lees. Determined that his wines will smell and taste only of wine, the importance of new wood is acknowledged but downplayed. Michel's son Jean Baptiste is now in charge of making the seventeen wines from this 11 hectare estate. Jean-Baptiste has respected his father's more traditionalist practices but he has instilled a fresher, livelier element to the wines which only enhances their appeal. These wines offer very good value for money and are benchmark examples for each of the crus. They can also age better than could be expected. The whites of this domaine are those most likely to be singled out, with perhaps the Premier Cru of Les Genevrières being the finest. Their Bourgogne Blanc comes from vineyards which are within the boundaries of Meursault but just outside the appellation. Such generic Burgundies are excellent choices for good value, especially as this wine is treated with the same care, attention and barrel ageing as its more senior brethren. Puligny was one of two villages (along with Chassagne) which gained permission in 1879 to hyphenate the name of its most famous vineyard, Montrachet, to its own. The reputation of Puligny-Montrachet is based around its four Grands Crus. Montrachet labels often boast a noble, triumphant ‘Le’ in front of its name, lest you dare confuse it with any lesser wine. It has much to be proud of, with many considering Montrachet to be the greatest white wine in the world. At its best it has an intensity, complexity and elegance that make you wonder how such a wine could be made from mere grapes. The luxurious and explosive Chevalier-Montrachet is not quite as deep, although it is probably the next best. Only marginally less impressive, and rather more consistent than Montrachet is the richly textured Bâtard-Montrachet (also shared with Chassagne). Bienvenues-Bâtard-Montrachet is equally good, with the focus on honeyed finesse and exquisite balance rather than richness. These legendary wines are supported by a host of fabulous Premier Cru vineyards capable of reaching Grand Cru quality. Brimming with flavour and intensity, Le Cailleret and Les Pucelles (which both lie across the road from Le Montrachet) are prime candidates, along with Les Demoiselles, Les Combettes and Folatières. Sandwiched between the larger Chassagne and Meursault, Puligny produces wines that are more striking than any in the Côte d’Or, portraying a floral elegance alongside a stylish, steely concentration. 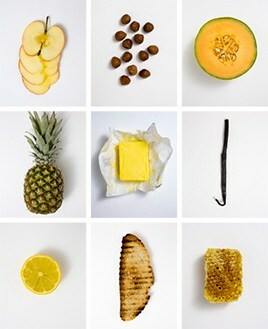 They are very different to Meursault: more refined and delicate, and less rich. Village level Puligny-Montrachet from top growers can be very good indeed, but is all too often unexciting and disappointing. Grands Crus normally need at least eight years before they can be broached, and last for 20 or more. Premiers Crus should generally be enjoyed between five and 15 years of age; village wines from three to 10 years. In theory, you can find red Puligny-Montrachet, but it scarcely exists anymore, and is rarely worth the price tag.